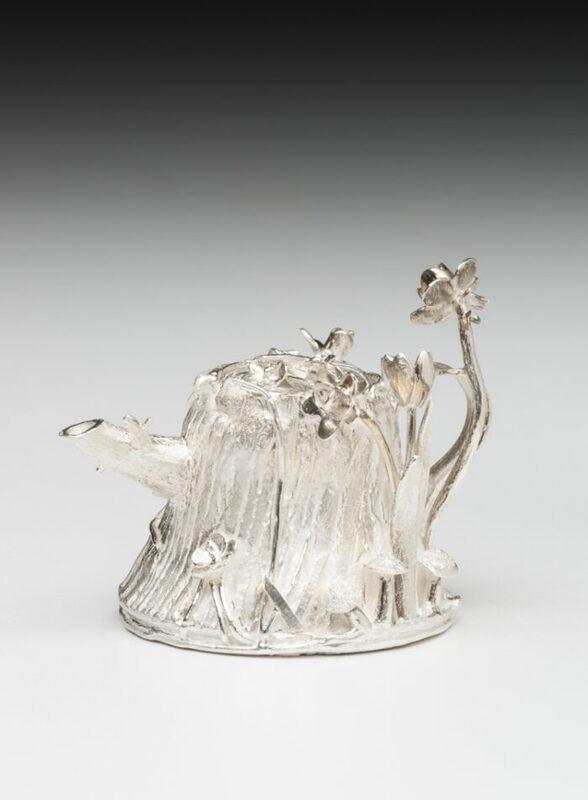 This Holly Dobkin work is a miniature teapot made of fine silver. It is modeled as a tree stump with a branch acting as the teapot spout. The top face of the stump is a removable lid. 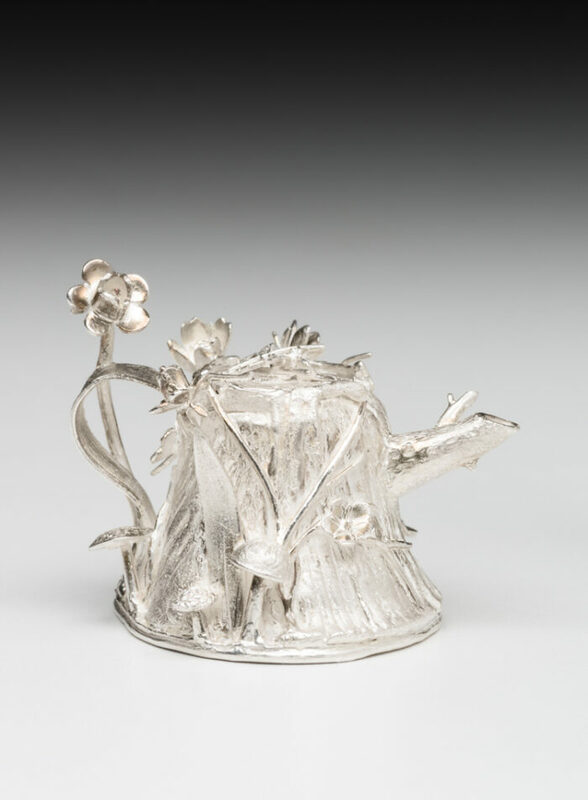 The stump is adorned with mushrooms, flowers and leaf blades – the latter forming the teapot handle.